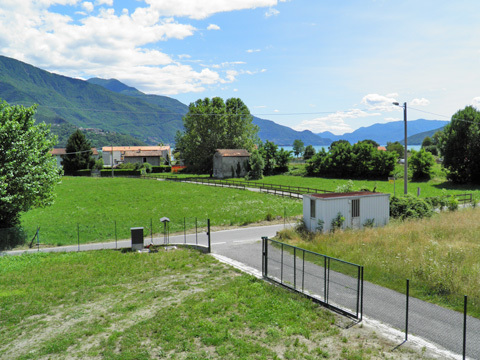 Apartment in a new rustico in Gravedona for up to 4 persons, with a terrace and a large community garden - just 150m from the lake and the lakeside promenade. 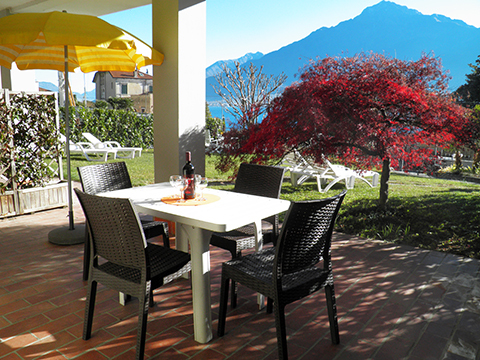 The apartment Rustico Ca Gio Borg Al Secondo located on the first floor is in a quiet location and short distance to the lake. 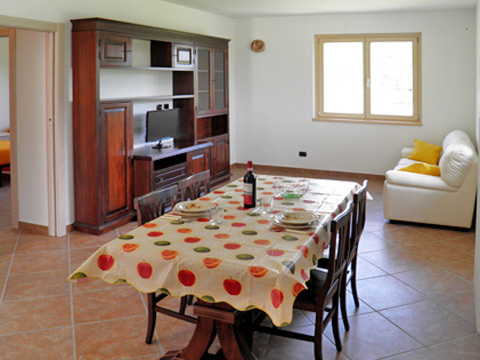 The bright and friendly apartment consists of a living area with sofa, dining table with 6 chairs, satellite TV and direct access to the covered terrace. 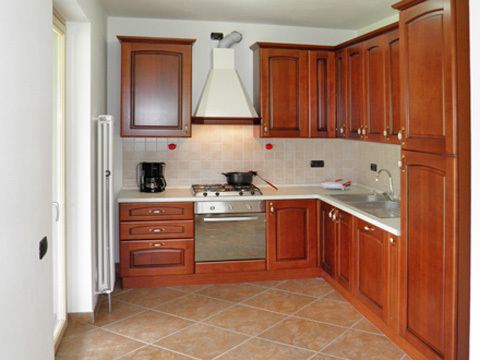 Integrated into the living room is the well equipped kitchen with oven, gas hob, dishwasher, filter coffee machine. 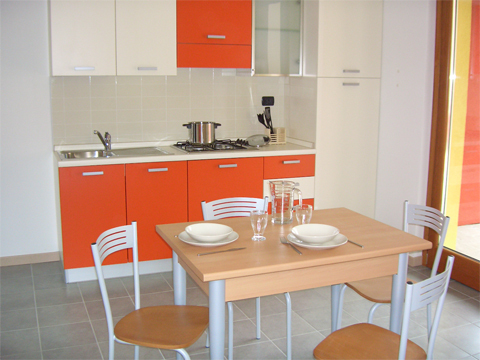 The apartment offers a double bedroom with a large closet with sufficient storage space and a twin room with 2 single beds and a wardrobe. 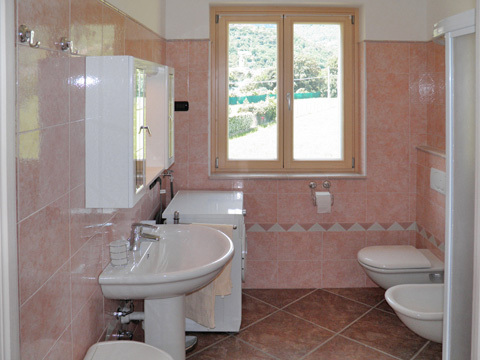 The bathroom is equipped with shower, toilet, bidet, sink and washing machine. It has a daylight window. The large communal garden is fully fenced and offers plenty of space to relax and play. Good access and parking is available at the house. 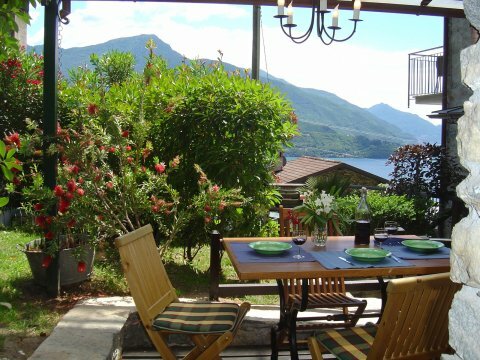 TIP: The holiday home Casa Gio Ca Al Borg consisting of 2 apartments is ideal for a holiday together with family and friends. 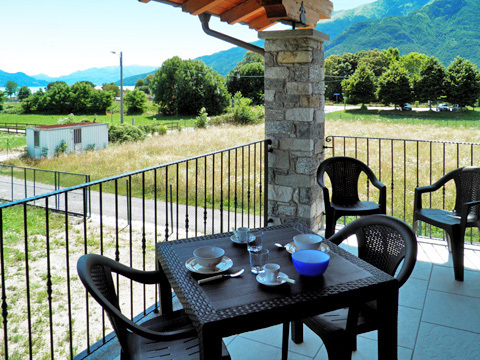 Video Watch a nice video from Apartment Ca Gio Al Borg Secondo in Gravedona? 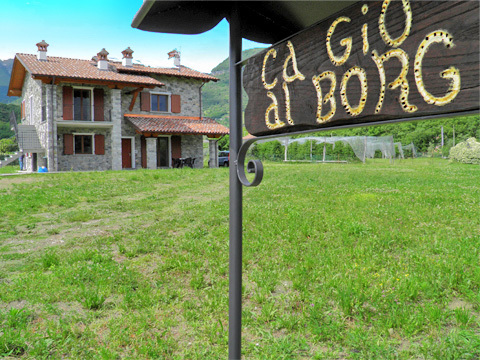 This holiday apartment is offered on behalf of the owner of Casa Ca Gio Al Borg Secondo in Gravedona, partner since 2013. 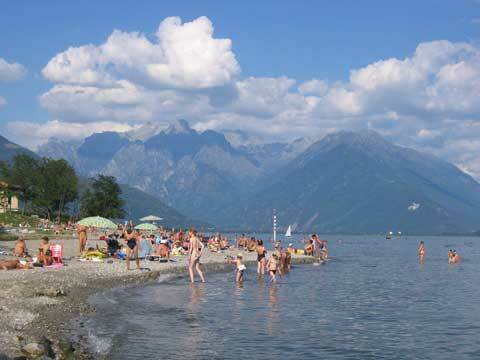 You pay your rent safely to Holiway GmbH and we regulate the payment with the landlord. When booking, you can choose between convenient payment methods. 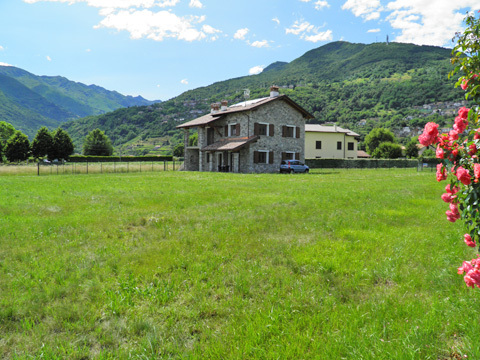 Watch a nice video from Apartment Ca Gio Al Borg Secondo in Gravedona?